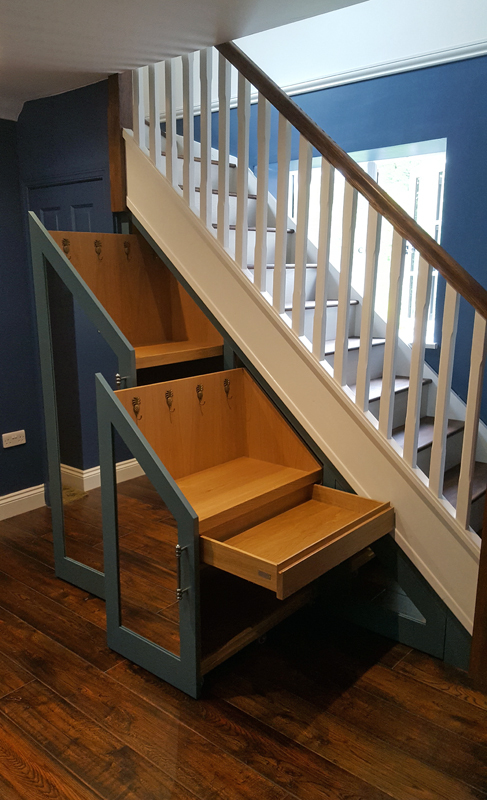 Some months ago we posted about a bespoke staircase with extremely useful understairs storage that we made and installed for our clients in Stone. At the time it was then waiting for final decoration. Well, here it is, and doesn’t it look stunning? We constructed the staircase in sapele and oak, and the bannister is softwood. 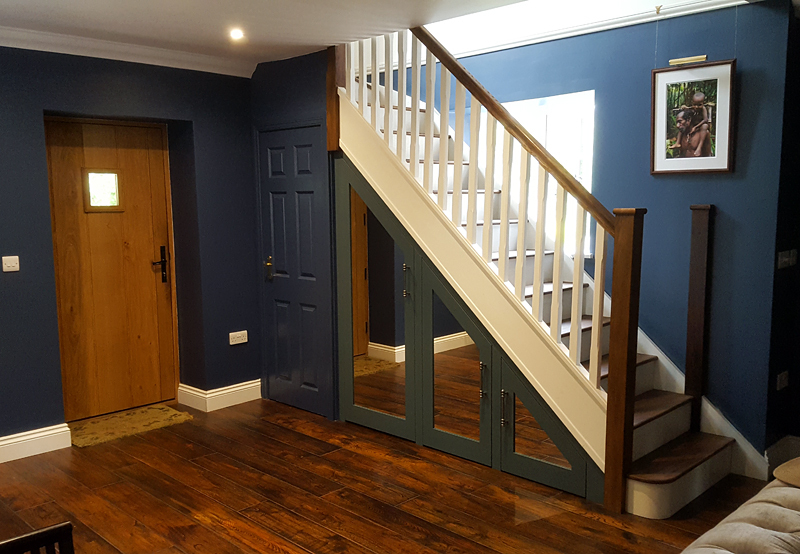 The clients’ choice of paint shades and floor and bannister finish has really complimented the whole construction, and it’s great to see our work enjoyed. Are you looking to commission bespoke furniture of any kind designing and making for your home? 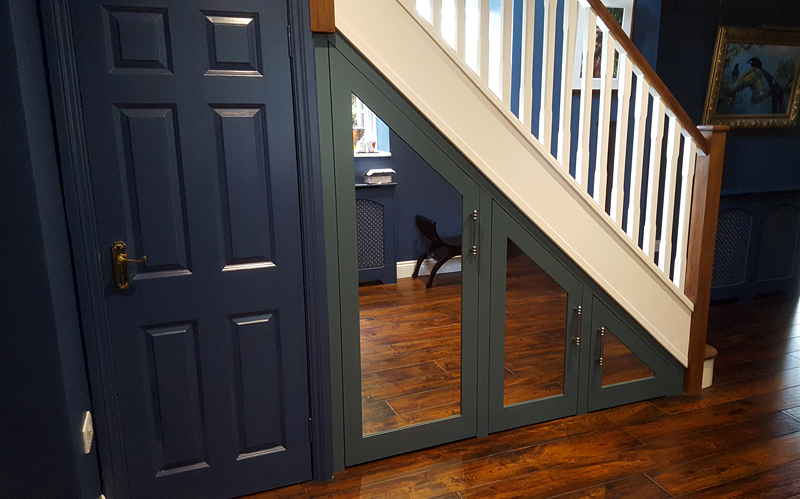 Do contact us at Mark Williamson Furniture if you are considering having any design or style of bespoke furniture designed and built. We specialise in bespoke kitchens, and can design and make any style of kitchen that can be imagined. Email: Please feel free to email us via the contact page here.